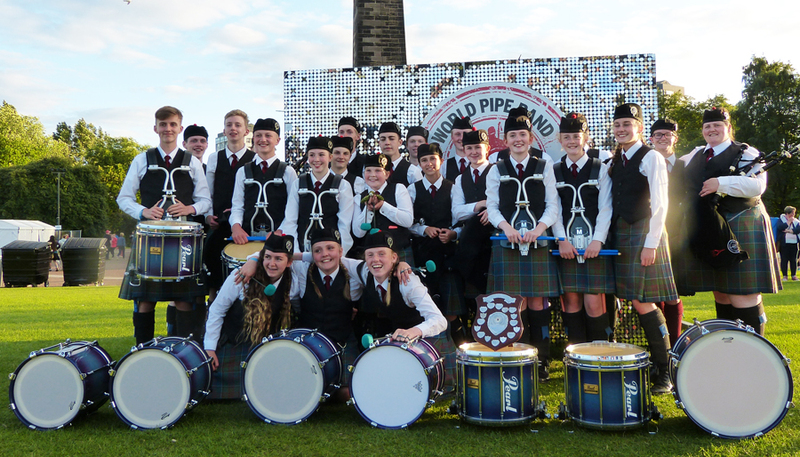 DMDPB had a hugely successful day at the World Pipe Band Championships in Glasgow, Saturday 12 August, being placed 6th in Grade 4B. Playing in Qualifier 1 (there were 20 bands in each of the 3 qualifying heats with 6 bands from each proceeding to the final) the band impressed the judges and were rewarded with a first place and a place in the final. The 18 bands in the final provided strong competition and so being placed 6th was fantastic achievement. Congratulations also go to our Drummers who having led the Champions Table for Drumming prior to the Worlds were placed an amazing second, having equal points with the Champions but losing out on lesser placings in previous competitions. A break now for a couple of weeks before competing at the Peebles Pipe Band Contest.